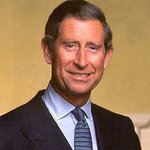 The Prince of Wales has lent his support to efforts to protect the world’s forests from being cut down for wood products ranging from guitars to greeting cards. Environmental charity WWF-UK, of which The Prince is President, is campaigning to close legal loopholes in European legislation that mean less than half of timber products, measured by value, coming into the EU are confirmed as from legal sources. Yesterday, His Royal Highness chaired a meeting of British business leaders to explore ways to ensure the UK market for wood products is protecting forests. WWF warns that illegal and unsustainable logging is contributing to deforestation and damage to habitats across some of the most important forest regions ranging from Russia’s Far East to Central Africa. The environmental organisation’s chief executive David Nussbaum said: "WWF-UK’s forest campaign challenges businesses to commit to responsible trade in wood and paper to help end deforestation around the world. “Businesses that rely on wood, from greetings card companies to furniture manufacturers and musical instrument makers, need to step up and make sure they only use materials from sustainable sources. More than 30 influential business have pledged support to the campaign, committing to get all their wood-based products from legal and sustainable sources by 2020. The Prince chaired a meeting of the Forest Business Forum which involves representatives from businesses including Boots, Tesco, Kingfisher and Kimberly-Clark.